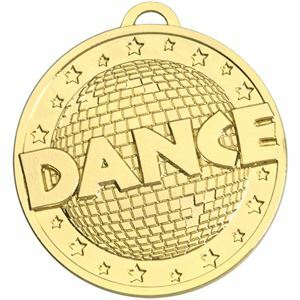 The Target Dance Medal features an embossed glitter ball with the word DANCE in bold lettering across the front. The medal has embossed tiny stars on the border. Available in gold, silver and bronze. This medal is cost effective as it is supplied with an attached red, white and blue ribbon. 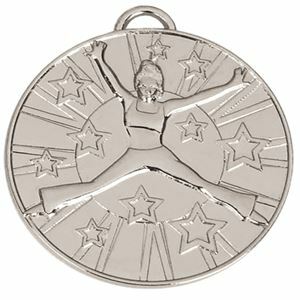 The Target Dance Medal is embossed with a female dancer doing a star jump. The background is embossed with stars.